I was 23 years old at a baby shower for a coworker, Dave. We sat down together and ate our cake. I was young, and children were not on my radar, but I will never forget what he said to me. “Oh, I don’t have a dog – I don’t have time for that kind of thing,” he replied. I laugh every time I think of this story. It also reminds me that sometimes you just have to do it – whatever it is. Just like my friend Dave did. 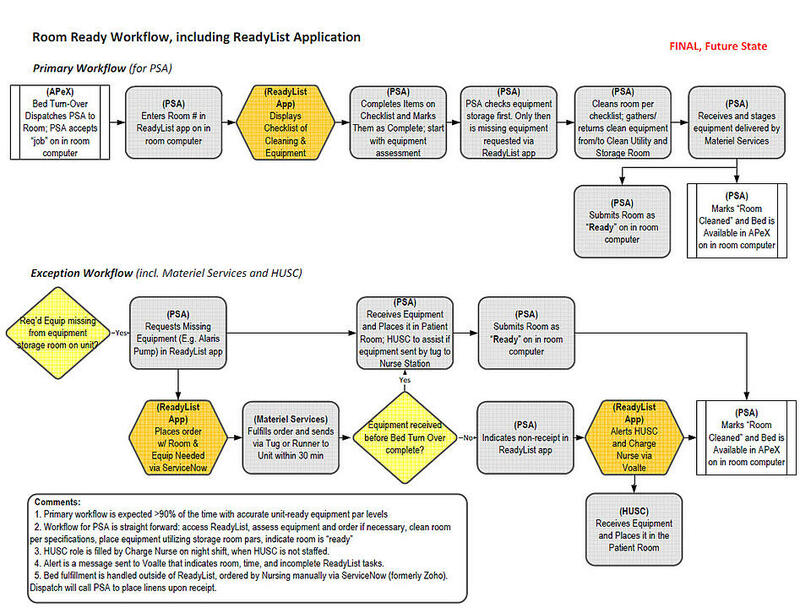 The just-do-it approach is one that many hospitals will need to take when they want to do process improvement, such as creating nurse-ready rooms. In my last article, I explained what a nurse-ready patient room is. As a reminder, a nurse-ready room is properly cleaned and staged with patient-specific equipment and supplies, so nurses can deliver exceptional care at the top of their license. Communicate the needs of the nurses to the support services teams. Define a standardized patient room set-up by nursing unit. Organize clean supply and equipment rooms per the nurses’ needs. Create room turnover documentation so that you can understand how teams work together to complete the task. Ensure all teams are aligned on workflow goals, and adjust support services team responsibilities accordingly. Implement technology to drive the room turnover process. Use metrics to improve room turnover as time goes on. Celebrate because you now have 100 percent nurse-ready patient rooms! 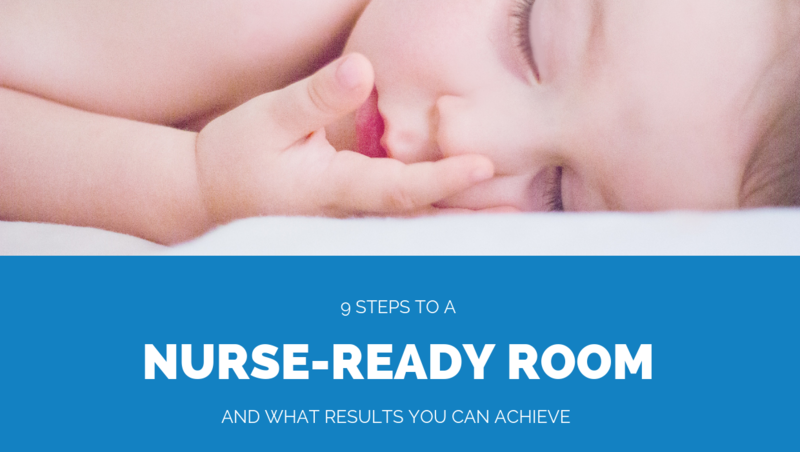 In this article, I will cover these steps in more detail, and the results you might see from implementing nurse-ready rooms based on actual results from a case study. It was 2015, and I was the director of operations planning at a Top 10-rated Academic Medical Center. We were building a new children’s hospital, and I was working closely with my manager, a nurse executive and the VP of operations. Her mission in the project was to ensure no bad habits from existing facilities were transferred to the new facility, such as patient rooms that were constantly unprepared for nurses. Use electronic room turnover checklists by unit and room. Ensure equipment staging was aligned with room setup. Track metrics to sustain changes and drive improvement efforts over time. The goal? Make sure each room was ready for nurses to deliver exceptional patient care. Implementing nurse-ready rooms can directly impact your nursing staff’s day-to-day work experience. New patient admissions take focus, and can be stressful on their own. Why not set up that process to be more successful with a perfectly prepared patient room? From my experience as well as case studies from other hospitals like Kaiser Permanente, here are the three stages and nine steps to ensure nurse-ready rooms. Open the lines of communication: Communicate nurses’ needs to support services teams, like environmental services and material services / central supply. It is not unlikely for these teams at many hospitals to have no idea what the nurses prefer in a room setup. Standardize operations: Work with the support services teams to define a standardized patient room setup for each nursing unit. Organize materials: Organize clean supply and equipment rooms with material services per the nurses’ needs. For example, have the equipment stored or laid out exactly how nurses would like to see it in the room. Document workflows: Create room turnover documentation so that you can see how the interconnected teams work together. This step in “lean” process improvement is called “defining the value stream.” Here, standards from Step 2 turn into real gains. Align goals. Ensure all teams are aligned on workflow goals, and adjust support services teams’ responsibilities accordingly. For example, instead of the nurses, can support teams handle ordering missing patient equipment, and reporting facilities and technology issues that are discovered during room turnover? Implement technology. To increase efficiency, consider technology that can help support the room turnover process. It is inefficient to drive operations at this scale by hard-to-read paper checklists or whiteboard scribble. 7. Ongoing partnerships. Continue to improve the partnership between nursing and support services. I witnessed one particular nursing unit which noticed that IV pump power cords were disappearing. Given the strong working relationship between Nursing and Environmental Services, the solution was for the environmental services technician to add a step to their workload, and order a power cord to the room if missing. 8. Use metrics. This is another benefit to using technology to drive nurse-ready patient rooms. When you have access to metrics, you can optimize your room turnover efforts as time goes on. This is an important step. When you do not have access to metrics, you do not know how you are actually doing. Metrics can be a huge motivator for keeping the program going, too. 9. Celebrate! Now you have 100 percent nurse-ready patient rooms, so nurses can focus on delivering exceptional patient care, not chasing down supplies or cleaning up after the last patient. 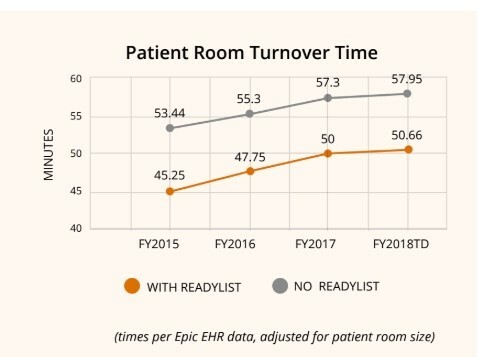 We saw the following results over a three-year period upon implementing nurse-ready patient rooms. We addressed a big workaround: the missing infusion pump. As a result of our efforts, support teams now order IV pumps ahead of time through the technology they use to drive room turnover (via my company’s web application, ReadyList). This has shifted 76 percent of total orders (1,164 orders annually) away from the nurses. With the average IV pump order taking about 2.5 minutes, nurses gained about 250 patient-care hours annually under the new workflow. With wasteful steps eliminated, and lean operations implemented, we sustained a 7-minute reduction in room cleaning time despite support services teams taking on additional responsibilities. When you have standardized best practices in room cleaning, you can dramatically reduce hospital-induced infection rates. We experienced a 56 percent decrease in C. difficile cases. 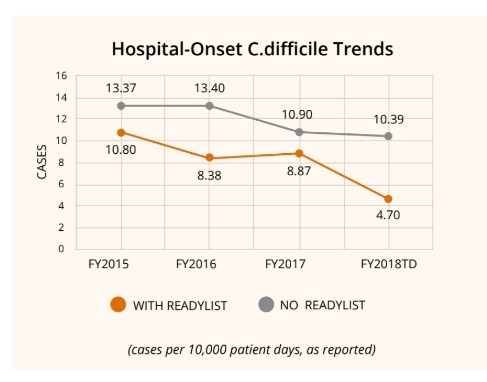 This represented 33 percent fewer C. difficile cases on average than the hospital’s sister campus that had not yet implemented the nurse-ready patient room model. Fewer infections are better for patients and hospital revenue, too. Hospital-induced infections like C. difficile can trigger $42,316 in non-reimbursable costs to a hospital. My final thoughts are this: It is not uncommon for hospitals to get excited about implementing the nurse-ready room model, only to let it fall apart a few months later as they move on to the next project. The results you see here are as a result of a hospital committing to this model for years and having the metrics from which to optimize. At this particular Top 10-rated Academic Medical Center, the nurse-ready room model is still going strong today. One last piece of advice: There really is not a “right” time to disrupt and improve your operations. Just like the story about my friend Dave and his approach to having children, you just have to go for it!